Thanks to a my "Good Morning Girls", I've been encouraged to wake up early and do my quiet time before heading off to work. This morning, rather than taking my usual seat on the couch in my living room, I took my time outside. I am no morning person, but there is something spectacular about sitting outside in the morning when the sun is coming up and the birds are chirping away. 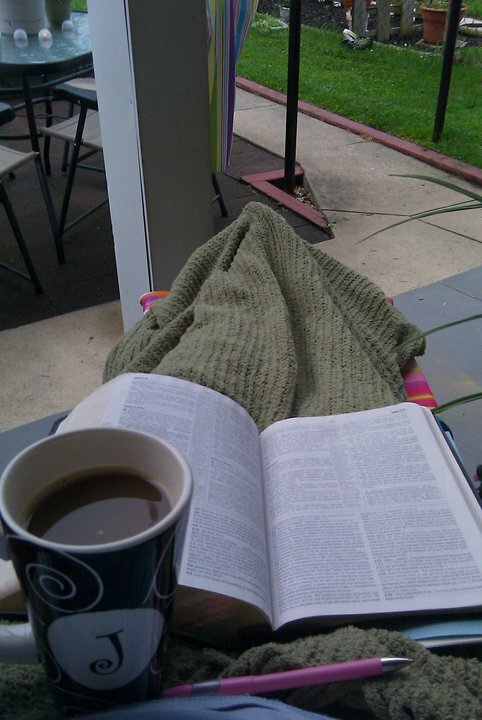 I grabbed my coffee, my Bible, and a light blanket and enjoyed my time with God outside! Lovely. And can I just say I am so impressed that you are a read grown up who takes her coffee almost black? Because mine totally looks like a milkshake. Jess- wonderfully sweet aned delightfully encouraging. 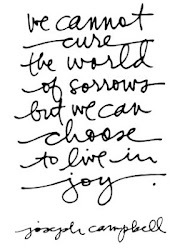 I pray that you felt God's presence and were comforted in His embrace. May you be abundantly blessed to dayw ith His love and peace. I love having my quiet time outside! Such a wonderful gift to thank Him for. May God bless you with a deep, abiding love for His Word. A quiet morning outdoors is a perfect way to start the day.